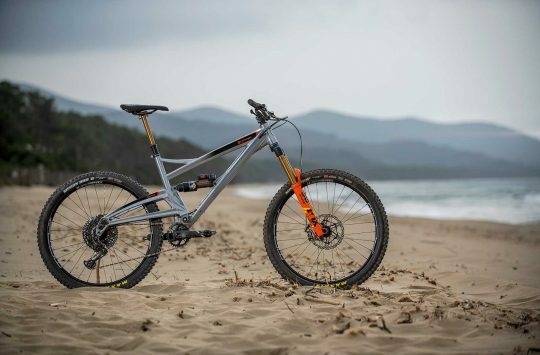 About this time last year, Ibis Cycles announced it would be rolling (geddit? GEDDIT??) out the second generation of its own-branded wheels. Wider, lighter and purportedly smoother, the new wheels would be available in carbon fibre and alloy rim options, with all three (main) wheelsizes catered for. Hold on, Ibis do wheels? Well yes they have done, my internal monologue, and they’ve been doing it for a wee while now. From Santa Cruz With Love. After kickstarting Ibis 2.0 back in 2005, Ibis Cycles has been steadily growing its product line that includes the venerable Mojo, as well as the Mojo HD and Ripley models. 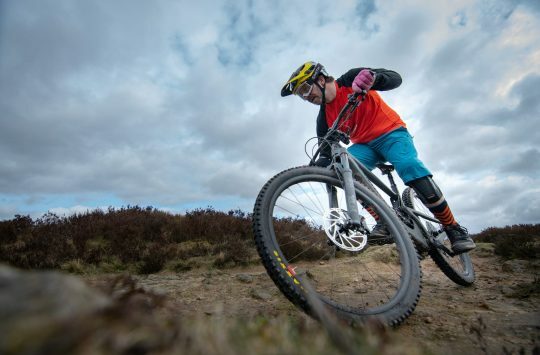 We’ve tested loads of Ibis bikes over the past 12 years, and you can read all of the Ibis bike reviews we’ve published here. But after establishing its reputation in high-end carbon fibre frames, Ibis decided to make the move into wheels back in 2014, with a focus on mountain bike hoops built with wide carbon fibre rims. Since then, the wide rim movement has only grown further (another one; BOOM TISH), and so Ibis has taken the experience gained from its original wheel offerings, and expanded that range to include both alloy and carbon options with reshaped rims designed for tyres of varying widths. Here we take a closer look at the Ibis 738 wheelset; a 27.5in wheelset that uses a tubeless alloy rim that’s designed to suit tyres anywhere from 2.35in wide up to 2.8in wide. 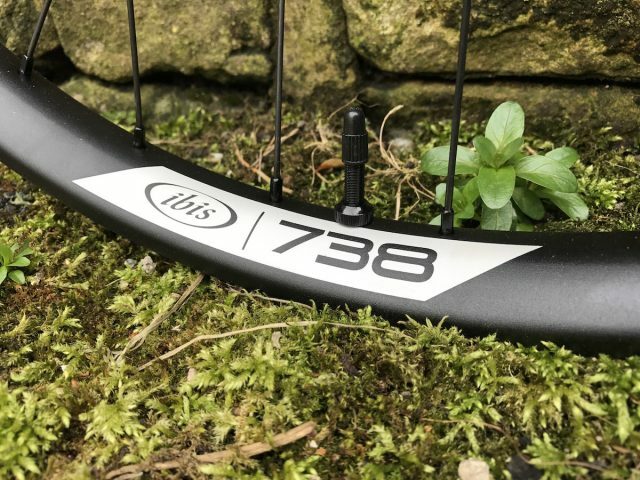 The 738 is Ibis’ first alloy wheelset designed for 27.5in wheels. “A wider rim delivers better sidewall support so in many cases you can run lower pressures in your rubber. Tires mounted on wider rims don’t burp as easily. Lower pressures, even a pound or two, do several beneficial things, including increasing the contact patch, which results in better traction. Running lower pressures on varied terrain actually reduces rolling resistance. Wider rims are stronger and stiffer. 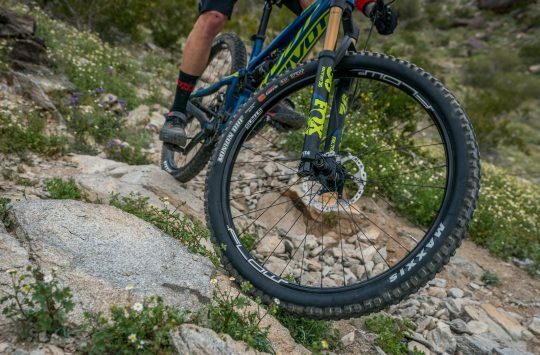 With increased traction comes increased braking control.” – Ibis Cycles. Available in 26in, 27.5in and 29in sizes too. 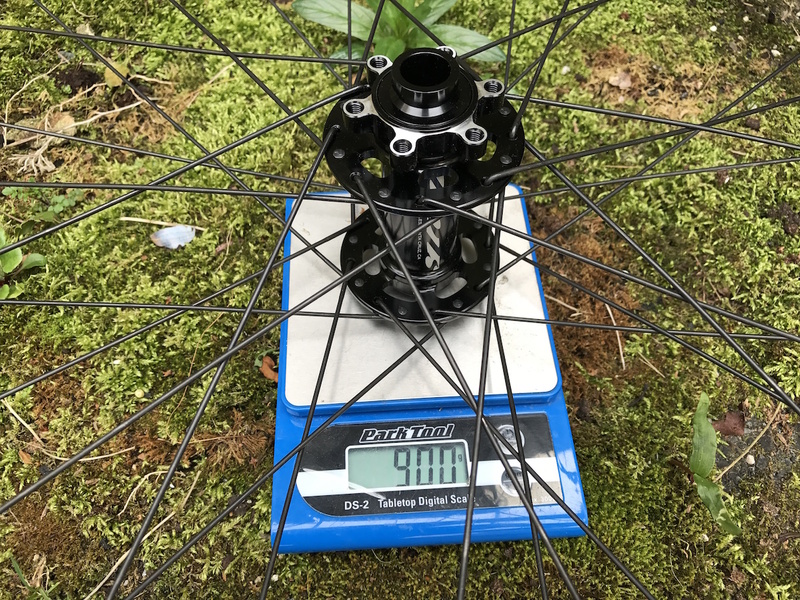 7 = 27.5in diameter, and 38 = 38mm external rim width. So that naming system. The first number denotes what wheel diameter the rim is. In this case, ‘7’ stands for ‘27.5in’. The last two numbers then represent the rim width, which in this case is 38mm. But that’s the external width, and not the internal width like many other wheel/rim brands list. For these rims, they’re rocking a 34mm internal width. Tough alloy rims built for a punishin’. The rims are asymmetric, with the spoke holes sitting about 5mm off centre. 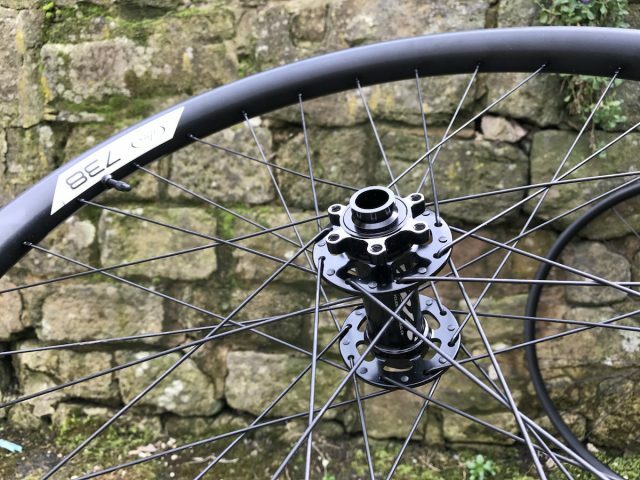 The idea here is to provide more even spoke bracing angles to each side of the hub, and therefore building a complete wheel with more even spoke tension. More even spoke tension equals a stronger wheel that’s less likely to go out of balance. One thing that’s instantly noticeable about the 738 rims is how shallow they are. 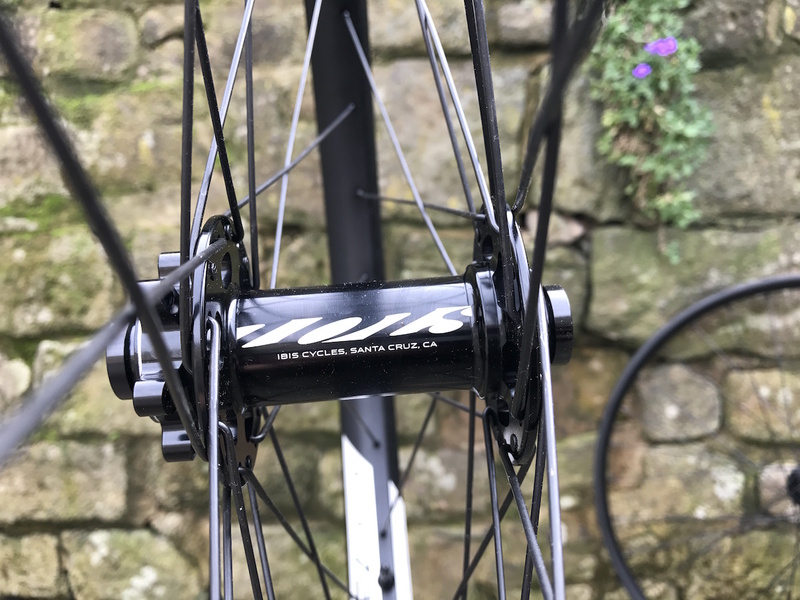 Compared to bulbous carbon fibre wheels (like Ibis’ original 741 wheelset), the 738’s are much shorter in their overall depth. 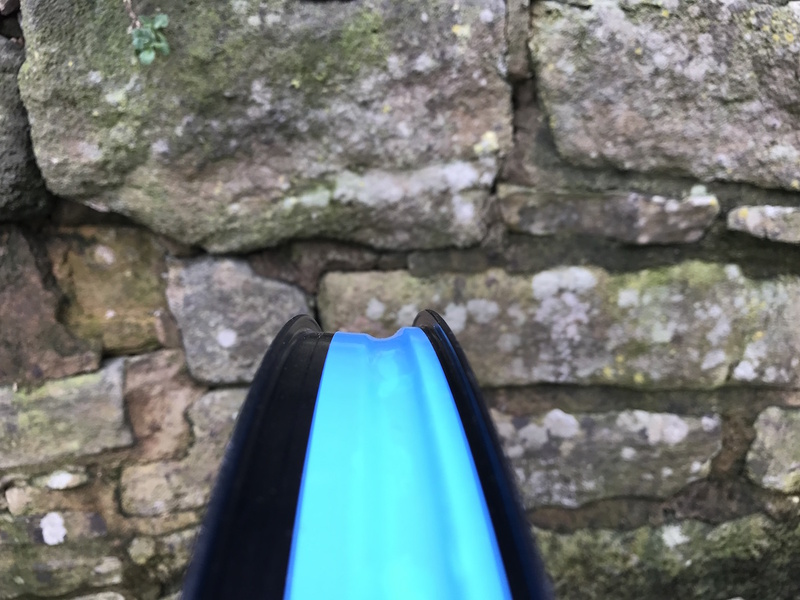 This is not dissimilar to the overall profile of the new Stans Arch and Flow MK3 rims. The reasoning behind a shallower rim? It’s actually done to increase vertical compliance, and to allow the rim to ‘flex’ somewhat as it pounds into rocks and roots. Build a rim with a a huge profile and make it mega stiff, and you’ll end up with a rim that’s so stiff that it becomes uncomfortable to ride with. Of course the rim is still designed to be stiff laterally, because that is a good thing, and that helps to keep handling sharp. Rims come taped for anti-tube performance. 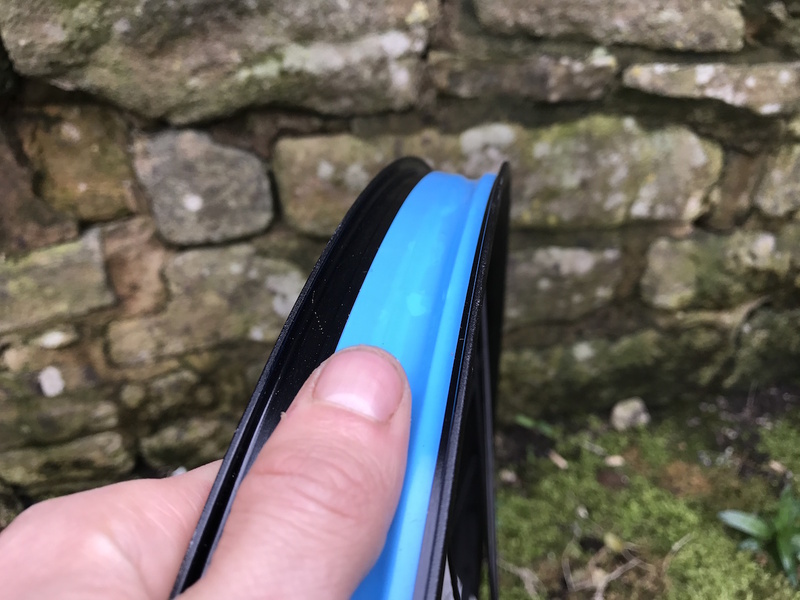 The 34mm internal rim width on the Ibis 738 wheels is designed to straddle the difference between regular mountain bike tyres and semi-plus width tyres. 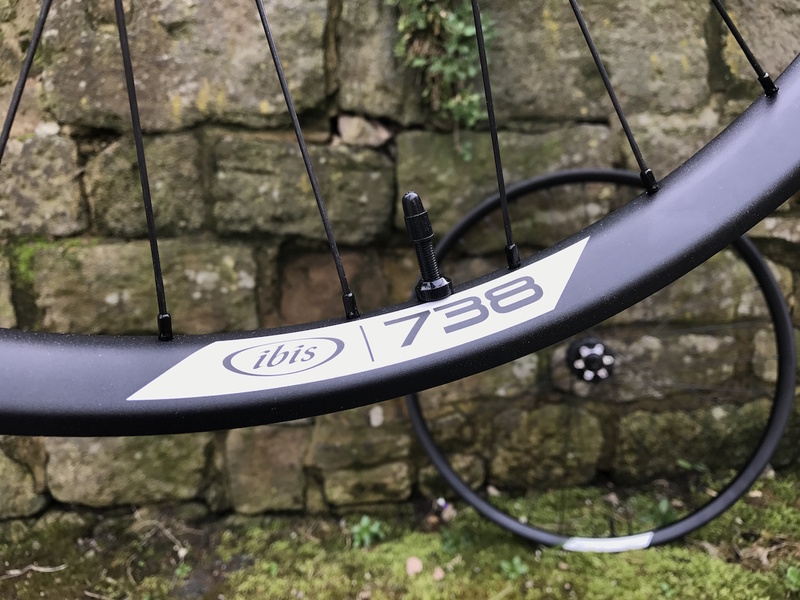 Ibis claims the 738 rims will suit tyres from 2.35in – 2.8in wide. 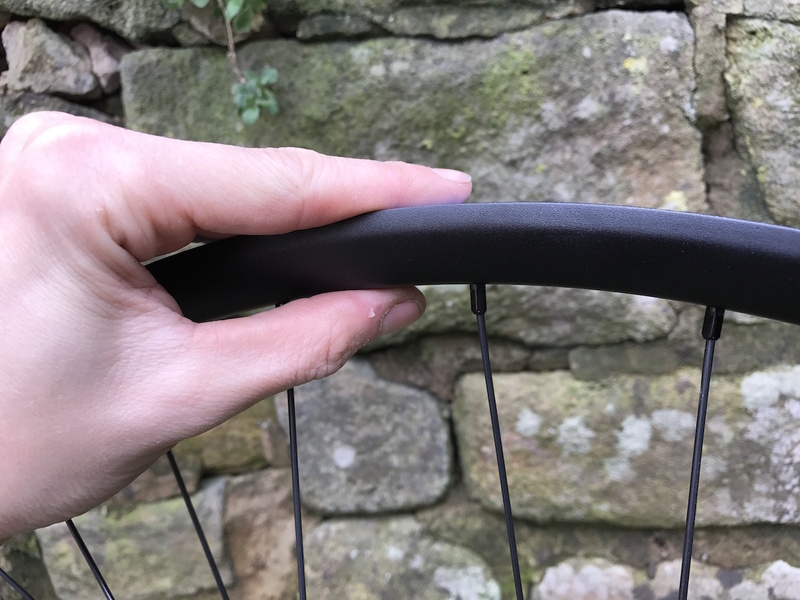 However, regular 2.35in tyres with a squarer profile won’t work so well on the wide rim, as the casing can end up being pushed out wider than the tread. We’ll be testing various tyre widths on the 738 wheels to see what works well and what doesn’t, but these seem to be the perfect candidate for Maxxis’ range of 2.5in WT tyres that are purposely built for wide rims such as the 738. Stubby hookless sidewalls for toughness. The rims come pre-taped for tubeless inflation. Here you can see the asymmetric rim profile , where the spoke holes sit 5mm off centre. The 738 rims are hookless, and the sidewalls are quite shallow. This should make them tougher than rims with taller sidewalls, which are typically easier to fold over and ding. The 738 wheels are built around Ibis’ own alloy hubs. The 738 wheels are built around Ibis’ own hubs, which use 6-bolt disc mounting, alloy hub shells, and Enduro cartridge bearings. The front hub is available to suit either Boost 110x15mm thru-axles, or 100x15mm thru-axles. 4-pawls deliver 36 engagement points. The rear hub shares a similar construction, and packs a 4-pawl mechanism into a 36pt ratchet ring to deliver 10° engagement. 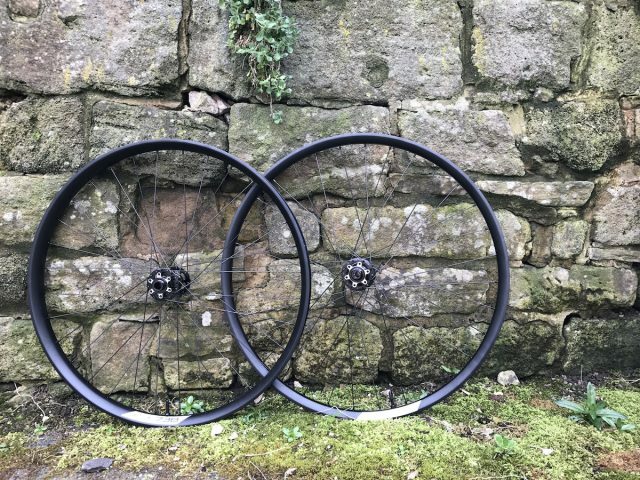 Freehub bodies are available to suit Shimano or SRAM XD cassettes. If you change your drivetrain in the future, replacement freehub bodies can be had for £60. 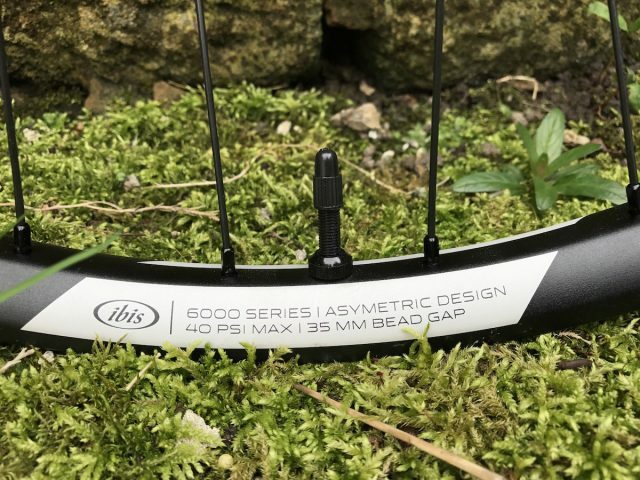 Front Ibis 738 wheel with a Boost hub. Wheel weight for the front 738 wheel comes in at 900 grams on our Scales Of Doom. Rear Ibis 738 wheel with Boost spacing and a Shimano freehub body. 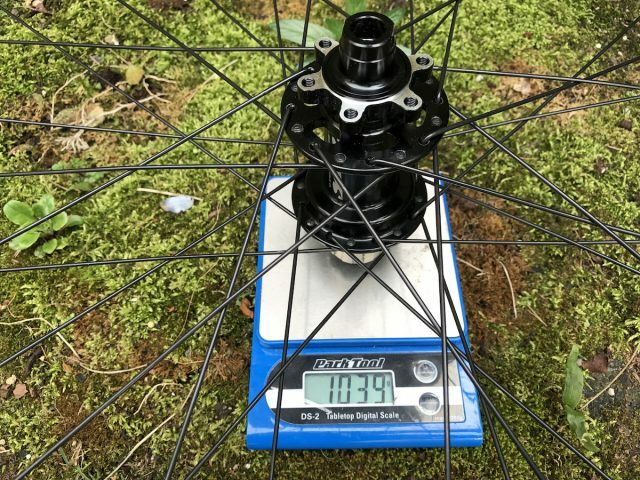 And for the rear 738 wheel, it’s 1039 grams. 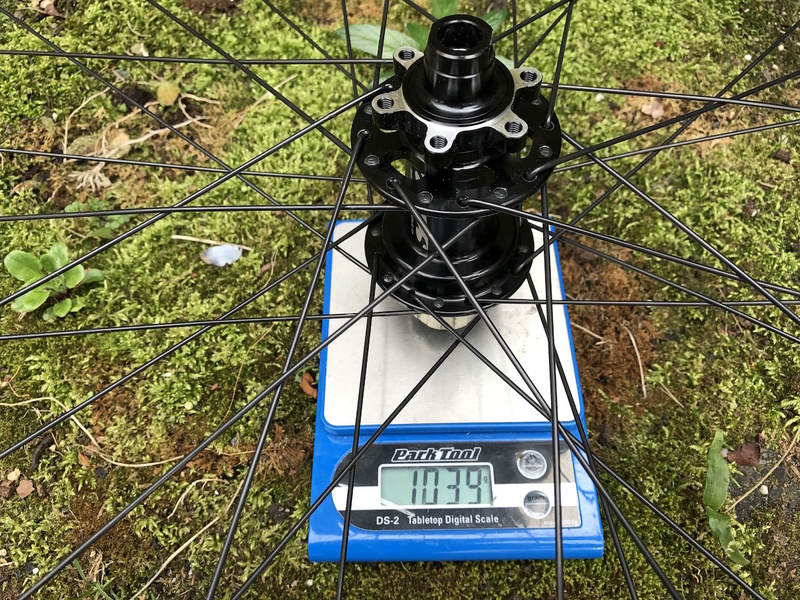 That’s a total weight of 1939 grams, including the tubeless tape and valves, so about 69 grams over what Ibis claims. 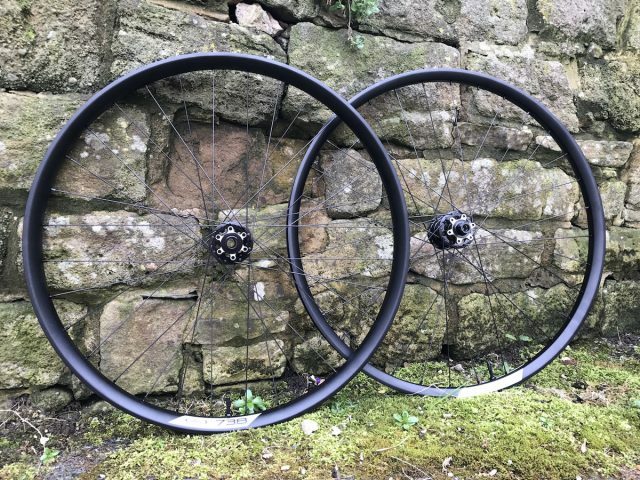 And that right there is the Ibis Cycles 738 wheelset. 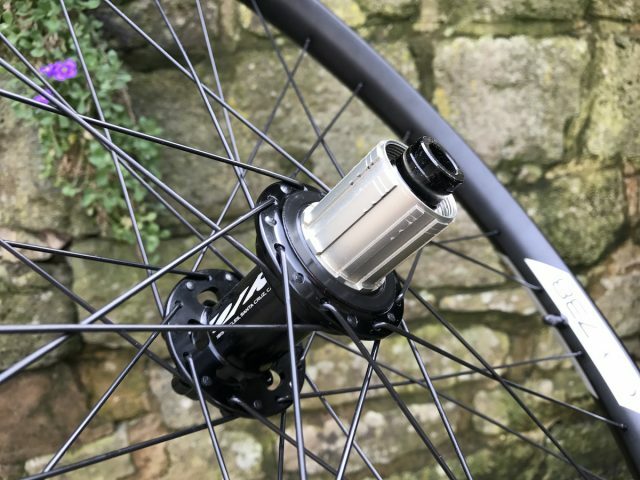 If you’ve got any questions for us on the wheels, wang ’em into the comments section below and we’ll do our best to answer them for you, and can put them to Ibis Cycles if we can’t. To find your nearest British Ibis stockist, get in touch with 2Pure. Otherwise head to the Ibis Cycles website for all the info’s.